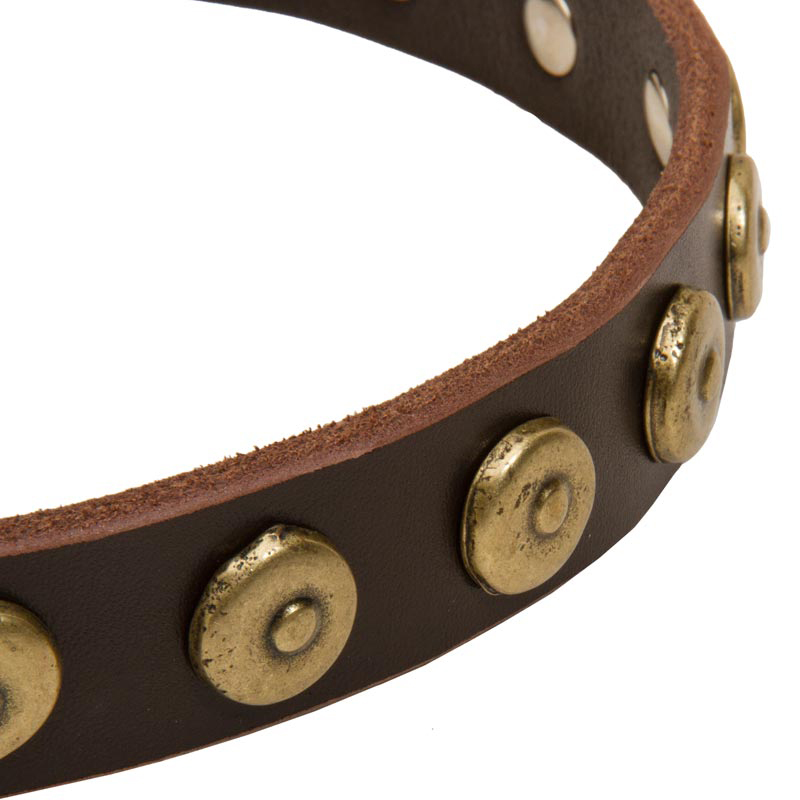 The materials, that have been used for the manufacturing of this Collar, are safe for dog’s health. Full grain genuine leather is strong, durable and pleasant to touch. The hardware is made of nickel plated steel in order to prevent rust and corrosion. All the decorations are made of brass and contain no toxic components. Thus, your Rottweiler is protected from rubbing, skin irritation and allergies. The Collar is easily adjustable. You can adjust it without any problems by using solid metal buckle. 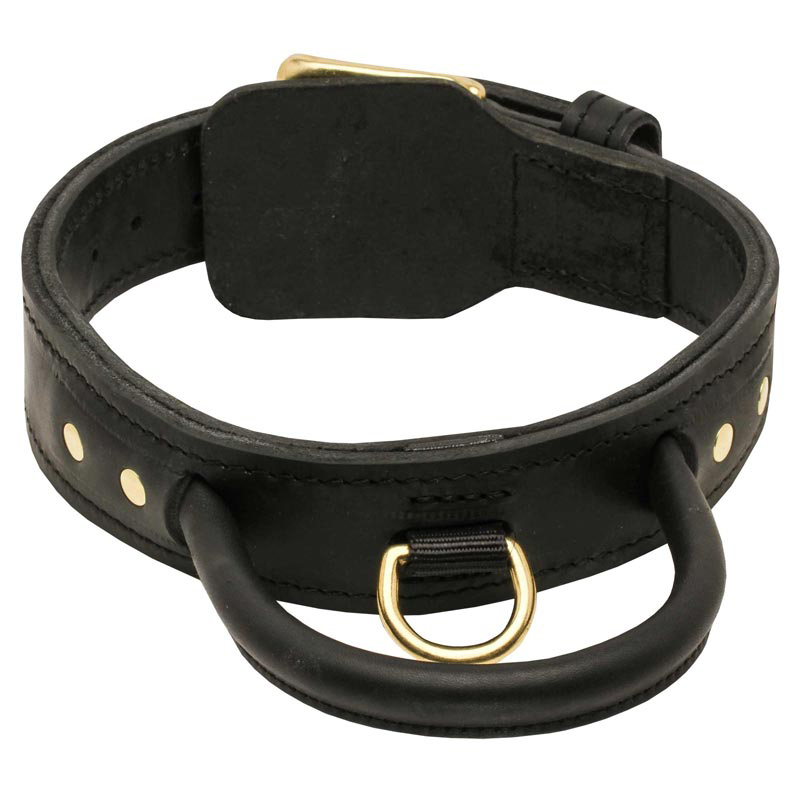 Also the Collar is equipped with a durable D-ring for leash attachment. 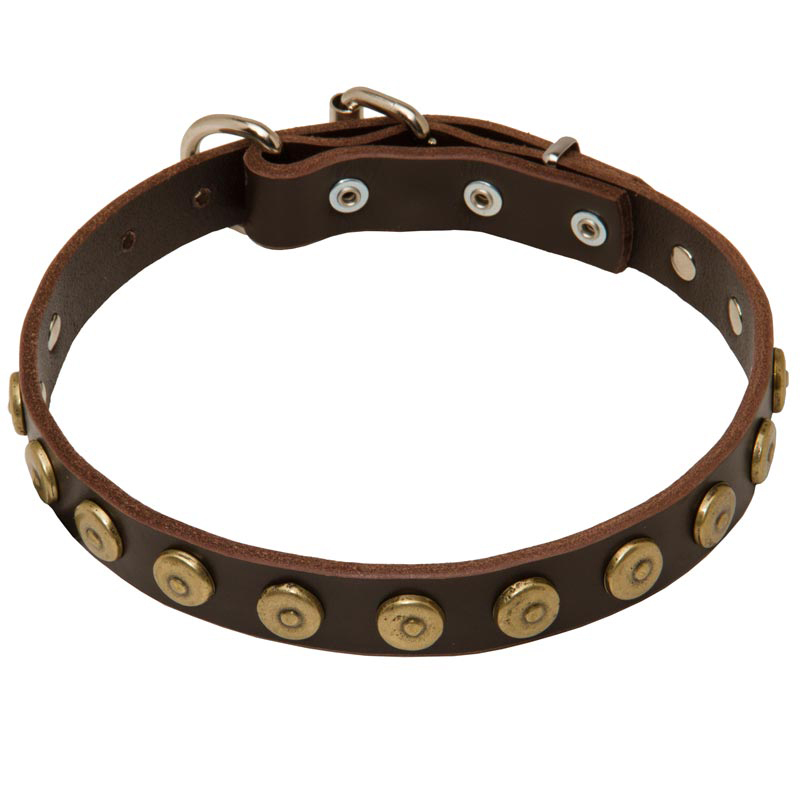 The distinctive feature of this canine accessory is its stylish design. Dotted studs are reliably hand set with rivets not to fall off.